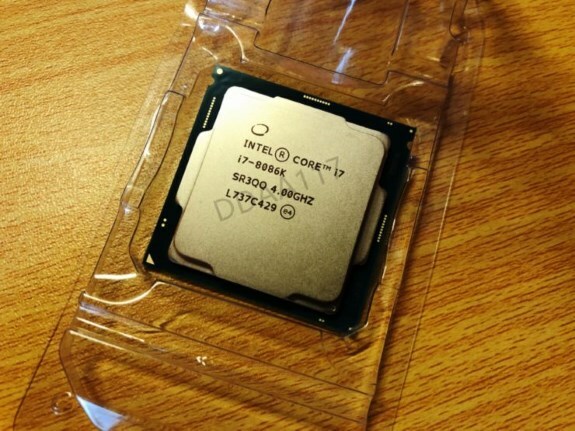 Details popped up of the Intel Core i7 8086K. This chip seems a bit oddly named, until you realize it's a special edition part to celebrate the 40th anniversary of the 8086 processor. According to leaks, the Core i7 8086K is a six-core Coffee Lake-S processor with a 4.0GHz base clock, a 5.1GHz Turbo, and a 95W TDP. It's basically a faster version of the Core i7 8700K. The latter is clocked at 3.7GHz with a 4.7GHz Turbo. All the other specifications are identical. The Core i7-8700K ships for $359 so the Core i7-8086K will likely cost a bit more. If it's real, it will be the second anniversary processor from Intel. Four years ago, the chip giant launched the Pentium G3258 to celebrate the 20th anniversary of the Pentium brand.